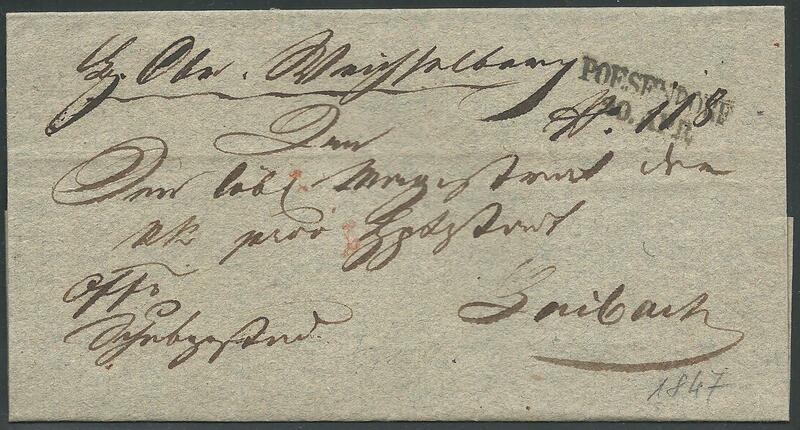 ,,Complete wrapper of prephilatelic letter, sent from "POESENDORF / 20. APR:" (Hudo, 1847, Mü. 1153.b) to Ljubljana (21. Apr).